What symptoms is Katherine experiencing? How do these symptoms affect her personal and professional life? What is Katherine’s relationship with Dr. Sobel? Do you think their relationship would work best as patient/therapist or as friends? Why? How do Katherine’s childhood traumas impact her life as an adult? How would you describe the relationship between Detectives Maggie O’Connor and Monroe Jackson? After Katherine’s test results come back negative, she thinks someone is playing mind games with her. Who does she suspect and why? How does Maggie’s list of suspects to interview regarding the serial killer differ from Monroe’s? Discuss. Why doesn’t Katherine want to work with pedophiles? Why does Katherine finally agree to co-host a treatment group with Dr. Rob Lassiter? How does this decision affect her growth as a therapist and as a character? What topics are discussed during Group? How are these discussion topics used to reveal character and move the plot forward? Did you predict any of the Group members was connected to the serial killer? Why or why not? Describe Bobby Bonasera’s relationship with the strippers? With the detectives? With the homeless veteran? With his landlord? What effect did these various relationships have on the story? What effect does Jayde have on Katherine? How does their relationship change? Who is the actual serial killer? Why did that person choose to kill pedophiles? Who are the heroes in this story? What makes them heroic? Is there a satisfying conclusion? Why or why not? Why did Mitzy choose to leave her career as a newspaper reporter? Did her decision seem valid? Why/why not? What job-related skills did Mitzy transfer into her new career as a special education teacher? How did these skills benefit her? Describe Mitzy’s relationship with her mother. How does their relationship change over time, if at all? How does Harry’s entrance into their lives affect Mitzy and her mother? Compare and contrast the relationship between Ellie and her parents with that of Mitzy and her parents. Hypothesize how the car accident and resulting comatose state of Ellie’s mother psychologically impacts the daughter. Discuss how Mitzy’s attention deficit disorder affects her relationship with her students, friends, and family. How is her ADD a positive/negative in her life? Compare and contrast the academic and psychological strengths and weaknesses of Sammy and Ellie. How do those tensions play out in their relationship? Discuss the personality traits of Joseph Barge which led to his death. Were you surprised at learning who “did him in”? Was it an accidental or purposeful act? What was the motive? Describe the belief system shared by the English teacher and the special education supervisor. To what lengths did they go to achieve their mutual goal? How did you feel about the choices they made? How did Mitzy’s caustic style affect her relationship with Eric? What hopes, if any, do you have for their relationship in the next book? What impact, if any, did the interjection of Jewish traditions serve in the novel? 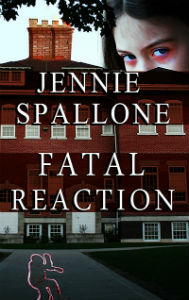 How does Laurie react upon discovering a dead body on the lawn of her summer home? How would you react in a similar situation? What is Ryan’s response when Laurie tells him the dead body disappeared? Why is he focused on discrediting her account of events leading up to the disappearance? Do the local police take Laurie seriously? Why or why not? Discuss Laurie and Ryan’s marital relationship. How does their constant bickering affect their son? After the dead body turns up on Helga Beckerman’s driveway, describe how Laurie attempts to discover TG’s identity. Why is Ryan unsupportive of his wife’s investigation? 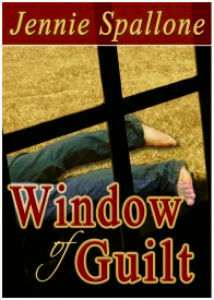 Describe the feelings of guilt that permeate his life. What special favor does Laurie ask of Mitzy on Yom Kippur, the holiest day on the Jewish calendar? Why? How does Ryan change upon returning from his trek to Champagne? Why? Why did Ryan initially leave Great Harvest? What does Ryan hope to achieve upon visiting his former employer? How do his expectations play out? When Brad, Jr. suspects Ryan has reported Great Harvest to the insurance board, how does he retaliate? How does this retaliation impact Ryan’s marital relationship? Discuss how the lives of Helga, Elizabeth, and Gerald are intertwined. Explain Arnold’s unrequited love for Laurie and how the napkin with the two addresses culminates in TG’s death. 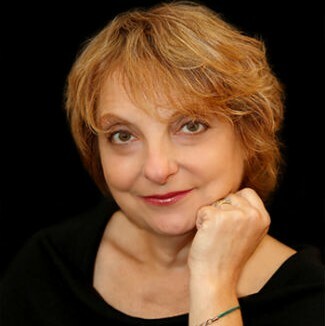 Describe the heartbreak and consequences of Griselda’s unrequited love for Gerald. How does she save Laurie’s life? Does Gerald learn of his son’s whereabouts before he kills himself? How does TG die? How have Laurie and Ryan changed by the end of the story? 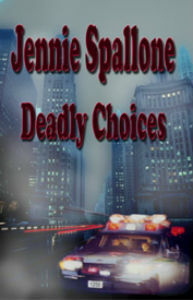 How is Deadly Choice’s Chicago setting significant? What role does Angie play in the novel? How does Beth justify kidnapping the baby? Describe the dilemma Sue is faced with. How would you respond to Beth’s request? Explain why Captain Paine goes to such lengths to bring Angie and Beth down. How does his plan backfire? Explore the spiritual and psychological transformation Beth and Sue undergo throughout the novel. How is their friendship affected? How does Sam’s dilemma of silence mirror that of the other characters in the novel? How would you react in that situation? Why is Jean perplexed with Beth’s responses? What methods would you employ to force Beth to reveal her true motives in the kidnapping? What adjectives describe Beth’s character? Does she inspire empathy? Why or why not? Answer the previous questions regarding Sue. What themes run throughout the novel? Was the end satisfying? Why or why not?